What Is Sprouted Grain Bread, and How Healthy Is It? Sprouted grain bread—made from a variety of sprouted whole grains and legumes—is a rising star in the world of baked goods. Here’s everything you need to know about what may be the best bread for your health. Love manna? Make it Ezekiel bread, high in fiber and nutrients and free from sugar. What do you call a breadless sandwich? Boring, that’s what. If you’re like us and you struggle to imagine a life without bread, don’t panic. We’ve found a healthy option to help satisfy that carb craving—sprouted grain bread. High in good things like fiber and nutrients and free from bad stuff like sugar, here’s why sprouted grain bread should be your top toast choice. Is Sprouted Grain Bread Healthy? 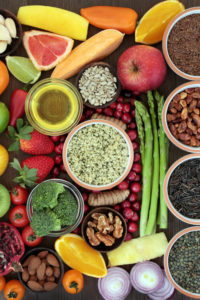 It can be, depending on your health needs and goals, says Lauren Minchen, MPH, RDN, CDN, a New York-based Registered Dietitian. Sprouted grain bread is made from a variety of organic sprouted whole grains (including wheat, millet, barley, and spelt) and legumes (including soybeans and lentils). Its rich nutrients and high fiber and protein content make it a much healthier option than white breads, which are made from refined wheat flour. sprouted grain bread is “a less processed, more nutrient-dense bread that also tends to be more satisfying,” says Minchen. Another health bonus: Sprouted grain bread doesn’t contain sugar, preservatives, or artificial ingredients, which plague most other types of commercially made bread. It’s also low in calories (for a bread). To learn more about healthy bread options, read our post Healthy Bread: Is There Such a Thing? What’s in Sprouted Grain Bread? One reason for this increased nutrient absorption: the breakdown of antinutrients, which are naturally occurring chemicals designed to protect the grain or legume by deterring animals from eating it. 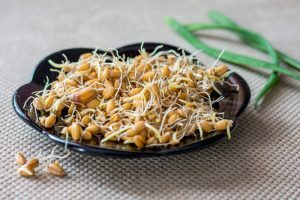 The sprouting process reduces the amount of these protective chemicals, which prevent the absorption of nutrients and can hinder digestive enzymes. Take raw soybeans, for example—they’re toxic in their natural state. Is Sprouted Grain Bread Carb-Free? So, if you’re on a carb-restricted diet, sprouted grain bread isn’t the panacea you’re looking for. If you aren’t watching your carbs or your waistline, feel free to indulge. All of those extra nutrients and fiber should help alleviate some of the associated bread guilt. Butter vs. Margarine: Which Is Healthier? Is Sprouted Grain Bread Healthier Than Whole Wheat Bread? Is Sprouted Grain Bread Gluten-Free? No. While sprouting can slightly reduce the levels of gluten in sprouted grain bread bread, it does not eliminate them. 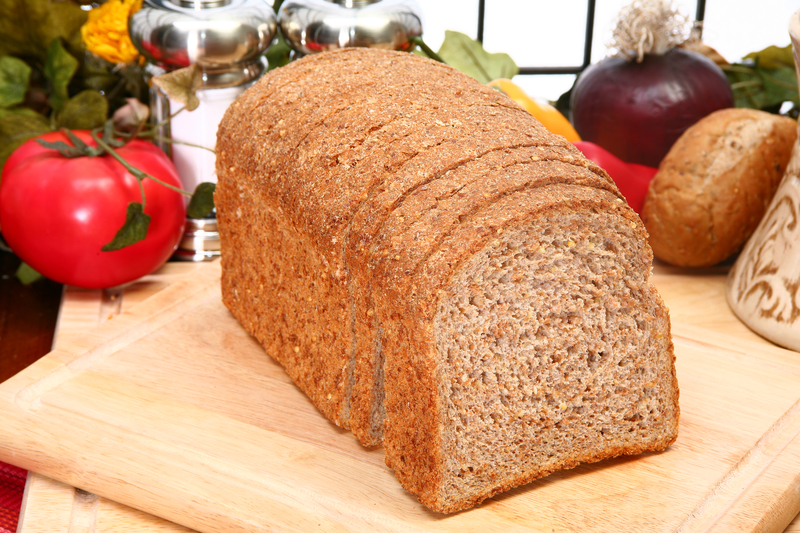 Regardless of the sprouting process, sprouted grain bread contains wheat, barley, and spelt, all of which contain gluten. 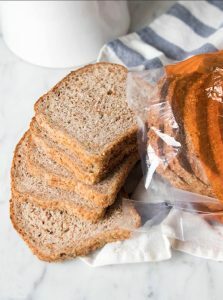 Those who suffer from celiac disease or a gluten intolerance should avoid eating sprouted grain bread or should attempt to bake a gluten-free version at home. Is Sprouted Grain Bread Good for Weight Loss? That said, remember that sprouted grain bread, as healthy as it seems, still contains calories and carbs. Overdoing it won’t help you fit back into those jeans. 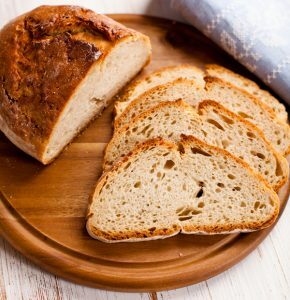 “I would recommend that no matter what bread you’re consuming, you balance it with other whole food carbs and limit it to two slices per day,” suggests Minchen. Sourdough bread, in addition to tasting tangy and delicious, is easier on the stomach than other types of bread. Its long fermenting process causes the flour’s vitamins and minerals to break down into a more digestible product. Sourdough is also lower on our glycemic index than other breads, which means its naturally occurring glucose is released slowly into the blood stream. Another plus: It’s less likely to cause food intolerance. To learn more, read our post Sourdough Bread Health Benefits Make It the Best Bread Choice. always hungry, antioxidants, beta carotene, binge eating, binge eating disorder, calories, celiac, celiac disease, diabetes, diet, diet and diabetes, digestive, digestive enzymes, fermenting, fiber, food, food intolerance, glucose, gluten, gluten free, gluten in, gluten intolerance, Glycemic index, health, nutrients, nutrition, organic, potassium, preservatives, protein, recipe, sourdough bread, sourdough bread health benefits, sugar, sugar free diet, vitamins, vitamins and minerals, wheat gluten, whole food, whole grain, whole grain bread, whole grains, whole wheat, whole wheat bread, why am i always hungry, why am i always hungry even after i eat. Where can we buy this bread or at least get a recipe? Cannot find this bread in Fresno, CA Have any ideas? Please provide the recipe for home bakers. I live on the east coast & saw this bread at Food Lion (grocery store chain). “Rising Star”? I’ve been eating it on occasion for 8 years. They do sell it at Target. Thank you for the information on this bread. I am on a warfarin regimen; is the vitamin K content higher in sprouted grains? I bought a loaf of Ezekiel bread locally. It may be healthy, but I find it very dry and tasteless and don’t expect to buy it again. it’s at Walmart in the Freezer section. Where can I get recipe for GF version? Wish I could eat this bread. I puchase this bread at Kroger in the frozen food section. I purchase the regular version and my only complaint about the bread is I feel it needs a little more salt. There is also a low sodium version which I will never purchase. I thought you might be interested in this article on https://universityhealthnews.com: What Is Sprouted Grain Bread, and How Healthy Is It?